The opening sequence with Alec Baldwin is meant to set the tone for the rest of the film. However, don’t be confused by the trailers for “BlacKkKlansman” that try selling this as a Tarantino-style comedy. This film is serious. Spike Lee hasn’t been able tor recapture the success he had in the early 90’s. In fact, the last time he had a real hit was 2006’s “Inside Man.” It’s true that “BlacKkKlansman” is debuting at a time where more attention is being paid to American society’s racial problems, but I am here to say that this film would work well even if that wasn’t the case. Lee’s latest, one of his best to date, has a lot to unpack and a lot to say about what’s going on in America, yet at the same time it’s one suspenseful, well-acted, and riveting movie experiences. Based on the true story of Colorado Springs first black police officer Ron Stallworth who went from the filing dept as a rookie, to undercover detective infiltrating the local KKK chapter. Stallworth used his “white voice” to hook the local chapter president Walter (Eggold) by spouting rhetoric about black people and other races. However, it’s Stallworth’s hesitant and Jewish partner Flip Zimmerman (Driver) who will have to be “Ron Stallworth” in the flesh. Stallworth’s phone conversation of lies works so well on his road to becoming a member, he eventually starts chatting with grand master David Duke (Grace), who wants to meet this energized new member in person. Tells an important story, drawing parallels with today’s social climate, yet leaving the viewer with some semblance of entertainment value. It only takes about two lines from Washington’s for you to realize that he is Denzel’s son. Lee, who has worked with Denzel multiple times in the past, hands the younger Washington the type of career making role Denzel would have cut his teeth on in the past. Adam Driver (“Star Wars,” “Logan Lucky”) continues as one of the most prolific young generation actors in cinema today. His character is the quiet strength to Stallworth’s loud confidence. Topher Grace’s casting is bizarre, but fitting for an actor who has earned such a bad boy reputation, yet it’s hard to see anything but Grace in the character. Ashlie Atkinson, the “I know her face but can’t remember her name” actress from “Inside Man” and many sitcoms, is uncharacteristically memorable here. She plays the disturbingly devoted KKK housewife who becomes an integral part of the plot. 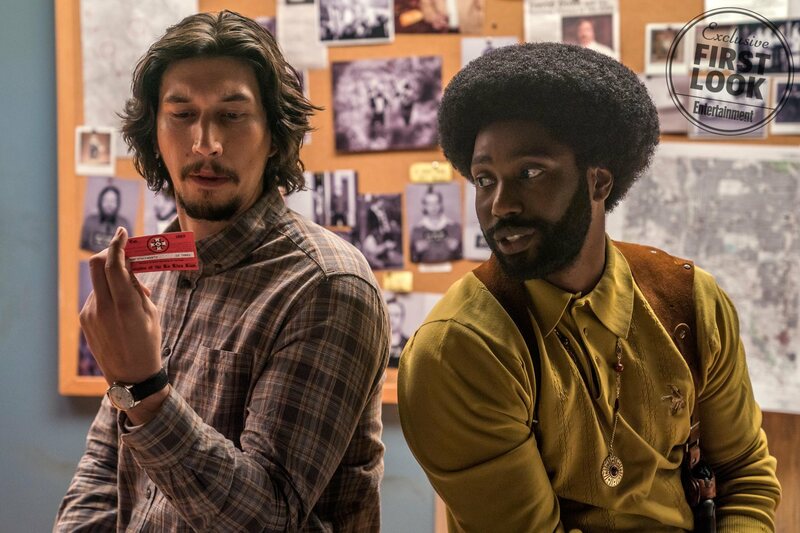 “BlacKkKlansman’s” biggest flaw is the editing. In the first hour the flow of the film is a bit staggered. For those familiar with Lee’s work, this is normal, he spends more time developing characters and plot than most directors. It always pays off, as the editing of his films gets much tighter as the film moves toward an explosive final act. You almost can forgive the draggy editing in a scene that’s expertly cut together with one group listening to the retelling of a brutal racial crime while the other watches “Birth of a Nation (1915)” with hateful glee. The ending is both satisfying and almost too neat, but “BlacKkKlansman” is consistent with wanting to tell an important story, drawing parallels with today’s social climate, yet leaving the viewer with some semblance of entertainment value. Spike Lee finds just the right balance of controversy, truth and entertainment for his best film in decades.